Sony has confirmed the launch of a new, compact interchangeable lens, 4K camcorder. 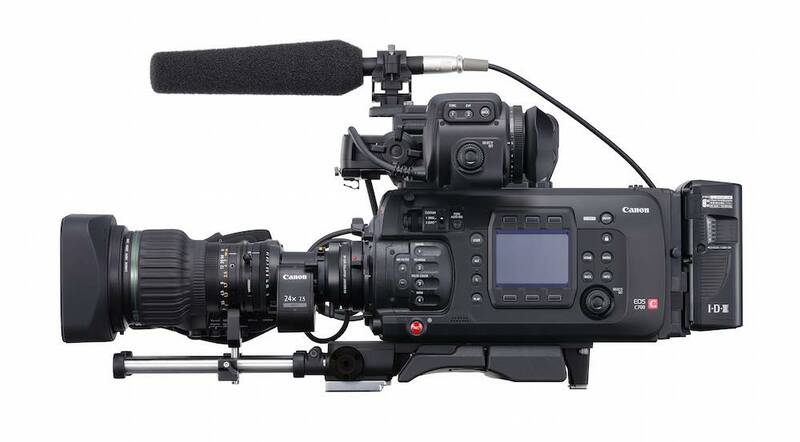 The PXW-FS7 is based around a Super35mm sensor, and Sony’s alpha lens mount system – as found on the FS100 and FS700. This allows the use of E-mount lenses. Recording is up to QFHD for 4K, with an update planned for next year to support Cinema 4K, at 4096 x 2160 pixels. The camera uses the same XQD cards for storage as other recent camcorders, such as the 4K, PXW-Z100. 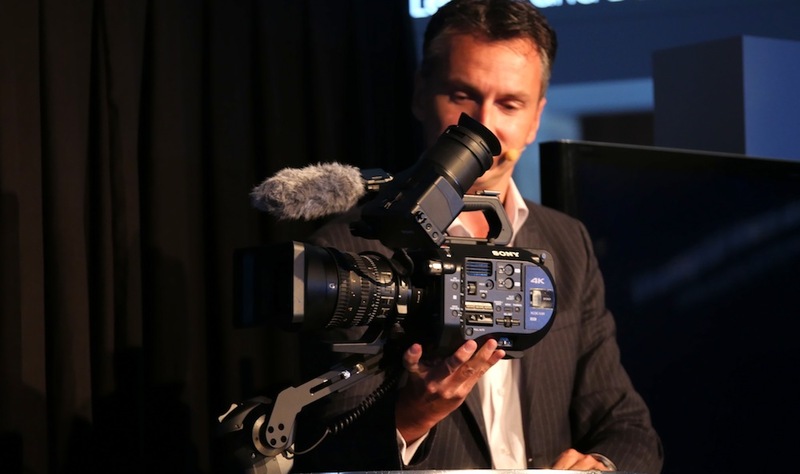 The PXW-FS7 uses the XAVC recording format, which Sony says is attracting growing industry support. Framerates are up to 60fps in QFHD, and up to 180fps in HD. XAVC recording in full HD is at up to 10 bits, 4:2:2. 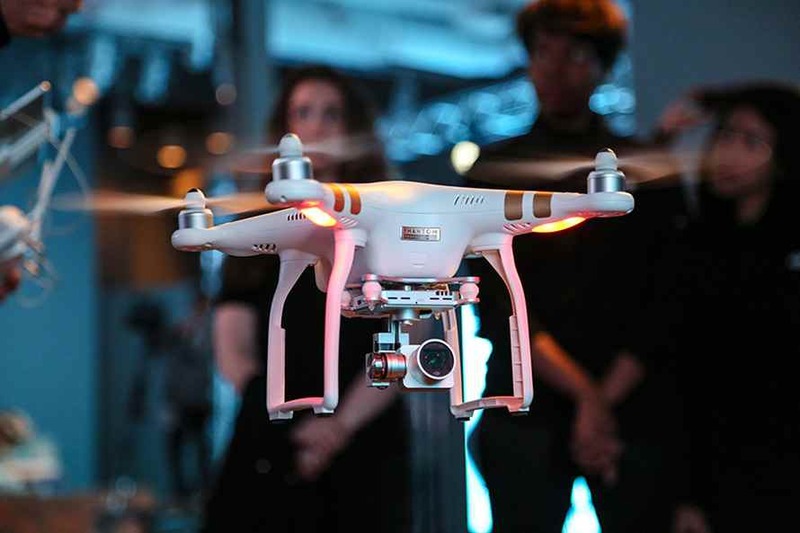 An optional add-on unit, also available next year, will allow Apple ProRes 422 internally, and connecting to Sony’s HXR-IFR5 and AXS-R5 interface and recorder, allows 4K and 2K RAW. RAW will also be supported on third party recorders, Sony has confirmed. Sony is positioning the new camcorder for documentary film-making, and one-person operation. As well as a dust and moisture-sealed body, the PXW-FS7 is based on a magnesium chassis for strength. A rod support system, the VCT-FS7, allows film makers to attach accessories, and use the camera on the shoulder. However, essential options, such as XLR audio connections and neutral density filters, are built in. The camcorder supports image stabilisation with suitable lenses. Sony will be supplying the camcorder with a new, constant aperture, power zoom lens. The FE PZ 28-135mm F4 G OSS is a full-frame power zoom unit with independent iris, zoom, and focus controls as well as image stabilisation. The new camera can use other E mount lenses or Sony A mount lenses via a proprietary adapter. 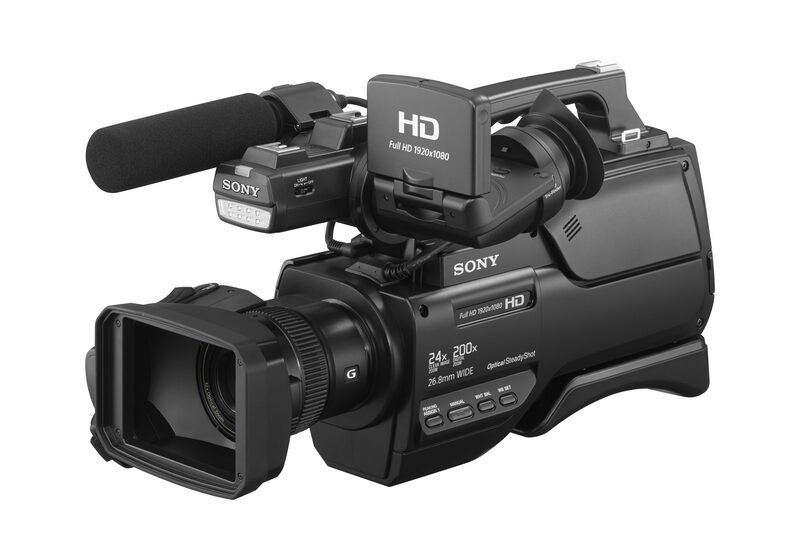 The camcorder will also support third-party adapters developed for the FS100 and FS700. Sony is also developing a new XQD card, the G series, to support the higher frame rates and internal 4K recording of the PXW-FS7. Pricing and availability, however, have not yet been confirmed.